As a leading Tree Services company in Sydney with many years of experience. We have visited over 25 000 homes in Sydney area. In today’s article, we would like to list the most problematic species of trees, when growing in the wrong location in Sydney. This tree is native to Queensland rainforests and can grow to be extremely large. The largest specimen we have come across was growing in a front yard and would have been approximately 20 metres tall with a trunk diameter of 1.1 metre and approximate weight of 25 tonnes. Aside from the sheer size that this tree can reach, the most common complaint we hear from our clients is a black soot like substance that the tree produces which quickly coats whatever is underneath or even near the plant. It can majorly affect the look of your property, as a brand new timber deck or house roof will turn a shade of black within 24 months. It definitely makes this spicy not particularly popular. To our surprise, Oleander has a big group of fans in New South wales. While this relatively small growing tree will only rarely cause damage to property, the main causes of including it in our list are its weedy characteristics, readily self-propagating in some Sydney’s gardens and also the fact that this species is poisonous. Eating just under 4 grams of Yellow Oleander, just like leaves or flowers can turn out to be fatal to a human adult and much fewer amounts could cause a death of a child or animal. This tree isn’t listed as a declared weed however, we feel it’s definitely not a plant we recommend for your backyard. If you were to clear 1 acre somewhere in the Sydney area we can guarantee you within next 12 months this cleared area will be littered with Wattles and the reason this is undesirable is due to their quite short lifespan. Most of Black Wattles live for approximately 20 years and in this time they grow quite large. So in 20 years time that 1 acre of clear land will contain about 50 dead trees, which don’t look attractive at all. If they were quite beautiful trees, you might choose to overlook the short lifespan but as you will see below they don’t offer much aesthetically to the garden which is why they made it to our list. 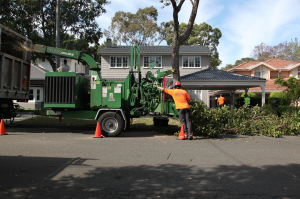 Do you need your tree removed from your backyard?